Ah Sang, a middle-aged Tibetan nomad living in Niandu Village at the source of the Lancang River (known as the Mekong downstream), is very cautious about rubbish in the vicinity of his household on the alpine pastureland. One day in late August 2017, when he drove this reporter from Niandu to Zaduo – the county centre 40 kilometres away – Ah Sang suddenly stopped his vehicle on the bumpy dirt road. He jumped out and picked up a plastic bottle lying by the roadside, dumped it in his trunk and drove on. An hour later, he stopped the vehicle by the local highway and took out three bags of rubbish collected by his household, throwing them into a “rubbish shelter” installed by the Zaduo County government. Located in China’s western Qinghai Province, Zaduo County is now a model of effective rubbish treatment and separation in the vast plateau area inside China. But this was not always the case. “Disposable products are not allowed inside our domain,” Pang Jimin, an official from the Zaduo government, told ChinaReport in early 2018. “The final goal of our county for rubbish treatment is 40 percent landfill, 35 percent recycling, with the remaining 25 percent incinerated.” For a town dogged for decades by choking pollution, it’s an ambitious goal. Plastic rubbish takes hundreds of years to degrade in the natural world. It causes prolonged damage to the Qinghai-Tibet Plateau’s sensitive ecological environment. Additionally, the plateau area is the source region for major rivers, including international rivers, and is home to diverse wildlife, including the Tibetan antelope, wild yak and wild donkey. Untreated rubbish threatens water safety, poisoning or suffocating wild animals and livestock. The local people here once dumped their rubbish near their homes. The only solution available was simple landfill or incineration by the local community or government. An influx of tourists brought even more rubbish, which sat strewn along main roads and at tourist sites. In October 2013, research was conducted by Green River, a domestic NGO, along the Qinghai-Tibet Highway. Researchers collected some 160,000 individual pieces of rubbish along the 450-kilometre road. Plastic bottles and bags accounted for more than 80,000 of them. But this was just the tip of the iceberg. 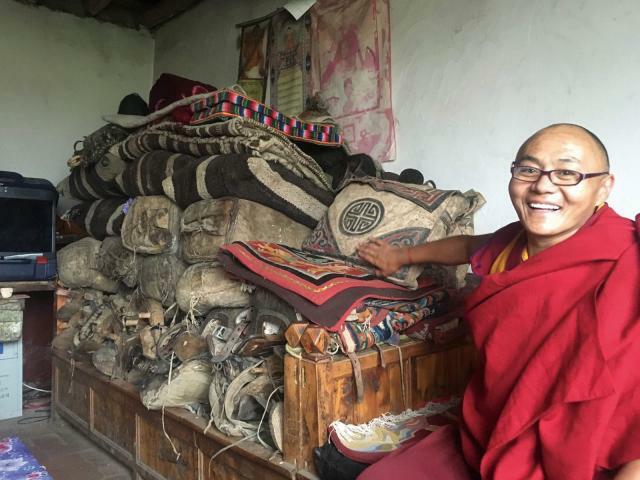 In a previous interview with Nandu Weekly in 2017, Tudan Dampa said he had witnessed the gradual demise of yak and sheep owned by local nomads as a result of the rubbish. He said people cut open the stomachs of the dead animals and found their insides riddled with plastic waste. Despite some landfill sites already set up along the road, the lack of an existing waste collection network in the remote pastureland area means waste cannot be effectively transported to landfill sites. In addition, wind can carry a plastic bag more than 100 kilometres to the remotest areas of the plateau. Zaduo County was once notorious as the largest “rubbish town” on the plateau. Da Ying, a local Tibetan official in Zaduo County, told this reporter in late 2017 that it was common then to see all kinds of waste dumped along the Lancang River. The local government did not start putting real effort into fixing the rubbish crisis until 2014. A new rubbish treatment centre was established, 20 rubbish-collecting vehicles were acquired, and the local government promoted rubbish separation among members of the urban community. With government promotion and local religious leaders’ continuous encouragement to local Tibetans to avoid randomly discarding waste, people have changed their attitudes and started to do rubbish separation at the household level. “We believe our efforts in environmental protection can lead to good weather and sufficient rainfall, and result in better health for people and livestock,” Da told ChinaReport. Each day, every household in the downtown area of Zaduo County separates plastic bottles, pop-top cans, paper and glass into four different bags before the rubbish truck comes each morning. In the countryside pastureland area where transportation is sparse, each household needs to regularly send their rubbish to the township rubbish centre, from where it is transported by vehicle to Zaduo County. 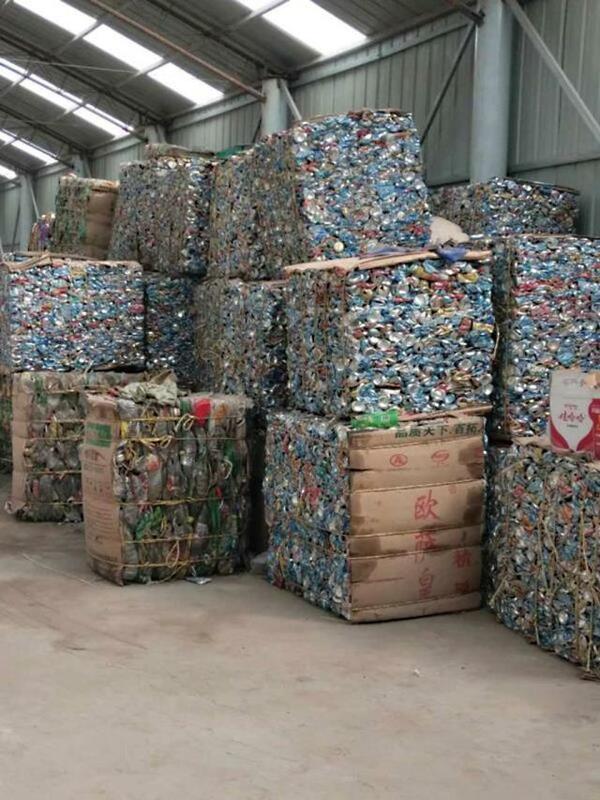 Recycling and separation have lowered the quantity of rubbish, and condensed recycled waste is transported to the provincial capital of Xining for further treatment. The rest is dumped in landfill. Since 2014, Zaduo government has spent 1.3 million yuan (US$205,000) annually on rubbish treatment. “Over the previous two decades, people didn’t care about clearing up rubbish, but things have begun to change,” Da said. Each household in each valley collects their rubbish naturally, and even during the spring when many go up into the mountains for a whole month to dig for caterpillar fungus (Yarsagumba in local Tibetan), they carry their rubbish home with them. During our interview, Da recalled that in 2009, when some visitors from Cambodia and Laos came to Zaduo, they criticised the rubbish strewn all around the Lancang River and asked why locals were not aware of the potential impact on pollution downriver. “Now real progress has been made, and no rubbish can be seen along the river. I suggested those countries along the Mekong, or lower Lancang River area, should invest their efforts here as well by offering financial support to purchase rubbish trucks or build toilets,” Da said. 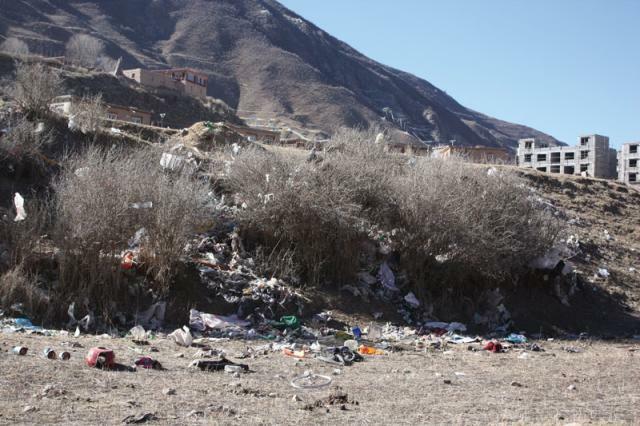 Green River initiated a program that encouraged local nomads near the Qinghai-Tibet Highway to hand in rubbish in exchange for food in 2012. In the two-year period from late 2012 to late 2014, more than 84,000 used batteries were handed in by nomads as well as 2,000 kilograms of other rubbish. The project made more progress in the years that followed. The organisation set up several environmental protection stations along the highway where recycled rubbish was classified and packaged by volunteer workers. Tourists who had a car were also encouraged to help take one bag of rubbish to the nearest rubbish recycling centre along the highway. Through this initiative, more Tibetans started separating their rubbish, while reverting to their previous attitude toward rubbish treatment. They began to learn that rubbish can transform into resources if put in the right place. In addition, the organisation started to build green courier stations along the highway to be used as rubbish collecting points for passing tourist vehicles. So far, six stations have been built. According to Yang Xin, founder of Green River, there will be 18 courier stations in the future. So far, the project has gained the full support of the Qinghai government, Yang told ChinaReport. Yang believes the model of combined efforts by government, civil society and social enterprises are the ideal sustainable solution to solve the rubbish problem on the plateau. 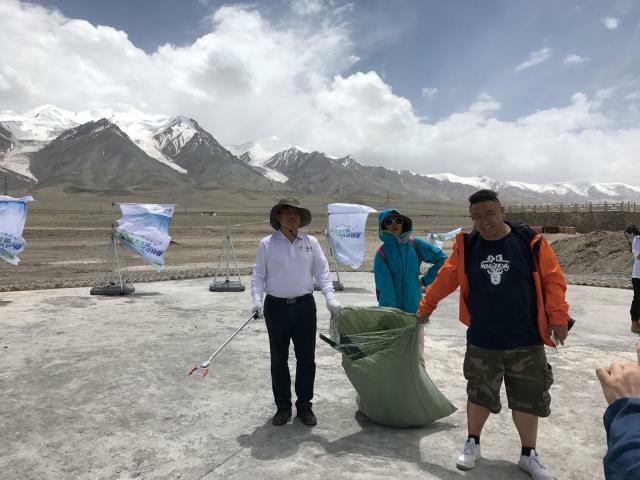 In the past few years, with effective rubbish cleaning activities and tourists not throwing away so much rubbish, the situation along the Qinghai-Tibet Highway has improved dramatically. There is almost no rubbish scattered along the road. Additionally, the establishment of Sanjiangyuan National Park in Qinghai Province (see Angsai National Park Into the Wild, ChinaReport Issue Nov 2016), has seen the local government place more emphasis on environmental protection. Furthermore, the action goes beyond conventional rubbish collection and treatment. 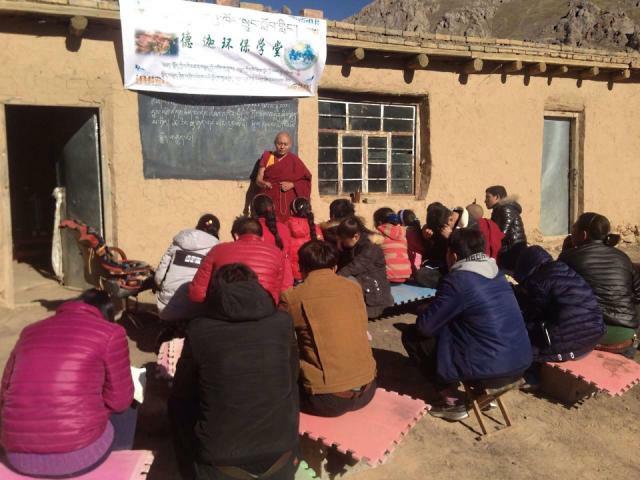 With the support of a local Tibetan NGO and some volunteer designers, a pilot project to build a “zero-waste community” was launched in a local Tibetan community. Jianzuo Village is located in Nangqian County high up the Lancang River. There, a respected local monk, Jamyang Tsering, started with an ambitious plan to build the first zero waste community on the plateau. Over the past two years, his village has established regulations forbidding villagers and visitors from throwing plastic products and packaging into the natural environment. Visitors are required to eat from their own food containers and take any rubbish they produce during their stay with them when they leave. To minimise the production of waste, all construction materials used are environmentally friendly, with most being recycled. 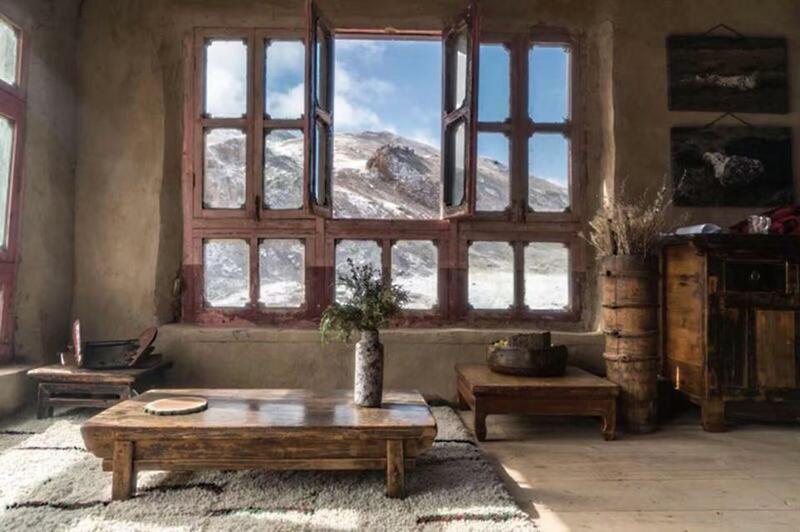 For example, all furniture inside the centre is second-hand, made in the traditional Tibetan style. Even a small vase on the table is made of recycled materials. Community members in Jianzuo contributed by bringing something old from each household to decorate the new centre. Wooden floorboards were collected from a different household. Once the centre was finished, the local Tibetans were surprised by the effect these “useless old articles” had on the comfy internal layout of the centre. “Traditionally, we Tibetans ate yak and lamb meat, rather than modern junk food, causing no non-degradable waste. With the country’s opening-up and better transportation, people have started consuming more bottled drinks, resulting in the accumulation of rubbish,” Da Ying said. The rubbish issue on the Qinghai-Tibet plateau occurred because environmental protection lagged behind the region’s break-neck urbanisation.